The “marketplace of ideas” is usually less a showroom for shiny new models and more of a cheery Op Shop. So it’s a big deal when a genuinely new argument is spotted in the wild – even, or perhaps especially, when it comes from an unexpected source. I’ve written about Senator Leyonhjelm more than once on these pages, and was resolved not to do so again. But the Senator and his staff have created what looks like a novel argument against lockout laws, which I propose to call the argumentum ad whingeum: the “argument from whingeing”. It’s hardly surprising that a libertarian like Leyonhjelm opposes lockout laws, such as those in force in inner Sydney. Disputes over restricting the sale of alcohol to reduce the incidence of violence and injury is a classic case of the liberal harm principle – you should be free to do what you like so long as you don’t harm anyone else – coming up against a utilitarian concern for reducing overall harm. One would entirely expect libertarians and classical liberals (not always a clear distinction) to take the side of liberty here. If I’m not causing anyone else any harm by drinking, why should my right to do so be curtained because other people can’t seem to get a skinful without king-hitting someone? Why should I be answerable for what other people do? For the record, I don’t think that argument is the end of the story, but on its own terms it’s neither absurd nor trivial. But Leyonhjelm deployed another, more novel argument: health workers defending the lockout laws are merely whingeing about the things they are paid to do. And given they can simply choose not to do those jobs, these concerns can be disregarded. Many years ago, when I first started working as a veterinarian, I accepted there would be parts of my job I wouldn’t like. Vets, as everyone knows, are expected to put animals to sleep, some when they are perfectly healthy. It can become wearing. Obviously other vets have issues too; vets are four times more likely to commit suicide than members of the general population. The reason you probably didn’t know that little factoid is because we vets are disinclined to complain about our lot. By contrast, it seems barely a day goes past without members of the medical profession telling everyone how hard they’ve got it. Leyonhjelm points to at least three serious issues here: the frequency with which healthy animals are euthanised, the moral injury this inflicts on the vets made to do so, and the appallingly high rate of suicide within the veterinary profession. We should be talking about all of this. Yes, violence causes injury and doctors are paid to treat the injuries. But their involvement is a matter of choice; they are not compelled “to clean up the awful toll”. Indeed, they don’t have to do trauma or emergency medicine, or even medicine itself, at all. Moreover, no-one is forced to join the police or ambulance service. In fact, doctors demanding lockouts because they don’t like treating the victims of violence is equivalent to teachers demanding parents keep dumb kids at home. They should do their jobs, or find a job that they’d rather do. So, what exactly is being argued here? And is this new argument any good? Let’s stick with Leyonhjelm’s vet example for a moment before we go back to human medicine. Leyonhjelm acknowledges how traumatic putting down healthy animals is for practitioners. But he never tells us that the needless killing of a healthy animal is wrong, merely that killing healthy animals is an unpleasant thing to do. But why do vets find it unpleasant if not because it is morally troubling? After all, in the course of their work, vets carry out other tasks that are far more bloody, intellectually taxing or physically strenuous. To borrow an argument from Thomas Nagel, Leyonhjelm seems to be getting things around the wrong way: putting down healthy animals isn’t bad because vets find it unpleasant; vets find it unpleasant because it’s a bad thing to do. 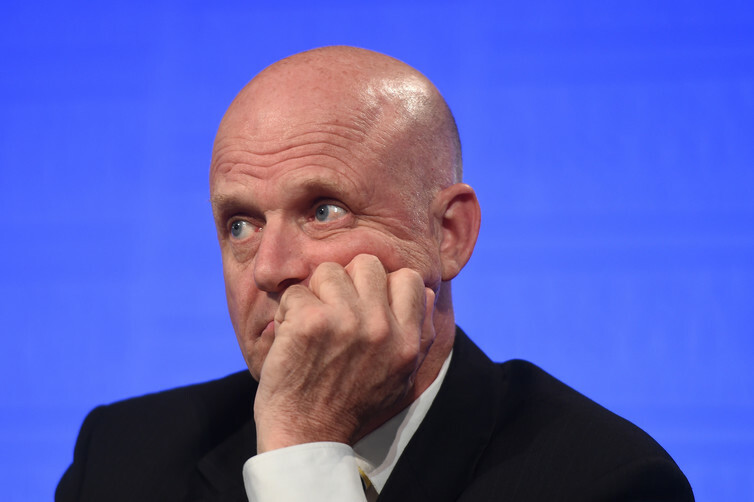 Leyonhjelm’s argument never acknowledges that badness. We’re left to infer that Leyonhjelm as a veterinary practitioner sees the wrongness in euthanising healthy pets, but then interprets that perception as a mere preference, not a judgement about moral facts. Some people can’t stand Vegemite; some people don’t like putting down dogs. And some people don’t like telling families their son won’t pull through, or having to put skulls and spines back together. Bloody whingers. That, in short, is the argument: if doctors decry the injuries caused by alcohol-related violence, they are merely expressing a preference to not have to deal with the aftermath of such injuries. In other words, the argument depends upon the assumption that the only motives that can be offered for supporting lockout laws are self-interested ones. Being someone who can’t stop picking fights on Twitter selflessly public-minded, I sought to point out to Dale why the argument is flawed. Dale’s position, like Leyonhjelm’s, seems to imply there is no more charitable interpretation than whingeing available here. When doctors call for lockout laws in order to reduce the harms caused by certain forms of violence, they are either making a self-interested claim to improve their personal working conditions, or their views are unintelligible. This is one of the key limitations of libertarianism: it struggles to accommodate forms of value that go beyond individual preference-satisfaction. That, I’d suggest, is why Leyonhjelm can apparently only make sense of such concerns in the same way he made sense of his own unease at putting healthy pets to sleep: as expressions of personal, subjective discomfort rather than universally valid judgements about right and wrong. So, their concerns can be dismissed by pointing out that doctors are paid good money to treat the injured, and if they don’t like it they can just get another job. Their getting another job won’t reduce the injury rate of course, but the whole point is that “death and suffering are intrinsically bad and we are enjoined to reduce them” makes no sense from the libertarian position. Your cracked skull is only my concern if I cracked it, or if I’m being paid to uncrack it, or to arrest the person who did crack it. None of this, by the way, tells us anything about whether or not lockout laws are a good idea. Apart from anything else they ignore the deeper and harder issue: young men for whom throwing a punch in anger is even thinkable, well before they start drinking. But a moral viewpoint that can’t take reducing death and injury as intrinsically worthwhile isn’t going to get us very far either.